Airbnb is a wonderful platform and has provided many homeowners with the opportunity to earn extra income while providing accommodations to business and leisure travelers from around the world. 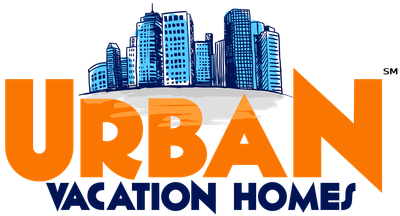 At Urban Vacation Homes we work with many Airbnb Hosts who love every minute of hosting on Airbnb, but no longer have the time to respond to emails, meet and greet guests, or spend hours cleaning and doing laundry. We provide 100% full Airbnb property management. Our services include all of the following. Our Airbnb property owners receive an ACH direct deposit every Thursday. We draft, create and maintain your Airbnb listing. This includes drafting a catchy detailed property description, updating the listing, and making sure your property is ranked high in Airbnb search results. Many management companies and Airbnb Hosts, set rates and never adjust them. We manually review each property we manage on a daily basis. By this we mean a “human” manages the rates. We do not set up an expensive software that tries to guess the best price. One of the benefits of using Urban Vacation Homes to manage your Airbnb is we have a vast network of additional sites that we list your property. Our reservation software has special calendar synchronization abilities that links your calendar, rates, description and photos across all additional marketing channels. This results in increased exposure and bookings for your Airbnb. Our small team responds to inquiries for your property 24/7/365. We never miss a booking and are always available for guests. Allowing us to manage your Airbnb means your property is always prepared, cleaned and in “guest ready” condition. This service is provided at no cost to you. We’re able to provide same day turnovers. Again, this increases booking. If a guest is checking out at 10am, we have your Airbnb cleaned and ready for the next guests arrival by 4pm. We work closely with certified Airbnb photographers who are contracted by Airbnb who take professional high quality HD photos of your property. We coordinate and schedule the photoshoot at no additional cost to you. Contact us to learn about our entire Airbnb Property Management Program.